The guy in question has since been let go, with the station saying "While fans are entitled to have personal opinions, we have a journalistic responsibility to provide unbiased reporting." Of course, that’s probably going to go over pretty well in Pittsburgh. 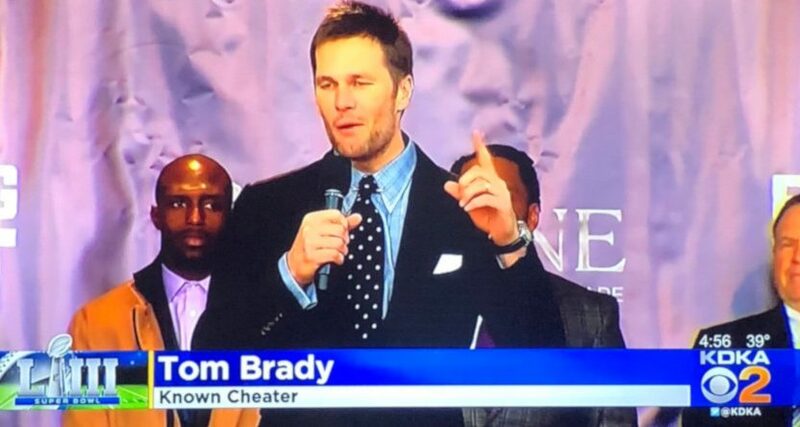 But “known cheater” is a bit of a factual stretch when it comes to Brady; yes, he was eventually suspended for four 2016 games by the NFL (following countless legal fights) around the Deflategate controversy, but there’s still a whole ton of debate over if the Patriots actually did anything wrong, what the science really says (hint: it’s probably not what a 10-year-old’s science project claimed) and more. And the “cheater Tom Brady” line is getting a bit old; there are plenty of things to criticize the Patriots for, including Deflategate, but “known cheater” is definitely exaggeration for effect. But you do you, KDKA. UPDATE: SI reports that the employee in question has been fired by KDKA.